What did journalists overlook about the Apple Watch ‘heart monitor’ feature? Joy Victory is Deputy Managing Editor of HealthNewsReview.org. She tweets at @thejoyvictory. The new Apple Watch heart monitor dominated the health news cycle last week. If you were lucky and spent last week on a secluded beach with no internet access (a girl can dream), you might have missed the news that the new Apple Watch Series 4 includes an FDA-cleared heart monitor function with an electrocardiogram (ECG). Otherwise, you probably didn’t miss it. Dozens upon dozens upon dozens of news media outlets excitedly wrote about Apple’s announcement, which included American Heart Association (AHA) president Ivor Benjamin, MD, who spoke for several minutes at the heavily-promoted event. The nexus of players involved–Apple, FDA, AHA–guaranteed a splashy news conference that frequently relied on the overused lexicon found in each industry. According to NBC, Benjamin said the gadget’s heart app was “game-changing” and the FDA issued a statement about how it signals momentum of “disruptive technology tools” in health care. 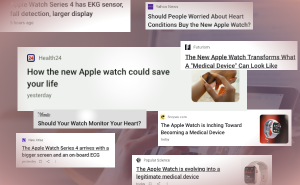 Although this news unleashed a media feeding frenzy, we were heartened to see that many news outlets went at least one step beyond the canned PR talking points to include independent perspectives on the risks of a wearable personal heart monitor. 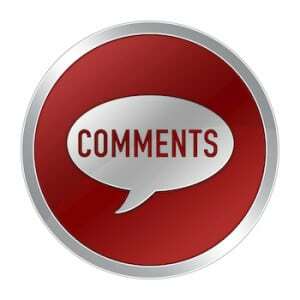 Still, discussion was thin on some points, particularly the AHA’s decision to tout this unproven technology, the FDA’s eyebrow-raising expedited review, the over-the-top marketing hype that could lead to patient harms, and the lack of evidence that AFib monitoring saves lives. 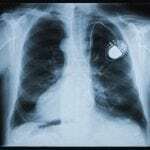 The Wall Street Journal parried back hype with the sub-headline: “Doctors say device could help detect serious medical conditions but also cause false alarms, unnecessary medical care.” NPR stated the heart monitor “could also raise the chance of false positives.” The AP discussed the big money to be made if insurers jump on board and subsidize the cost, as well as the uncertain clinical benefits. And STAT pointed out the need for rigorous study and the fact it will carry a warning label, as well as the FDA recognizing a “potential for harm” with apps like this. “Do you wind up catching a few undiagnosed cases? Sure. But for the vast majority of people it will have either no impact or possibly a negative impact by causing anxiety or unnecessary treatment,” says cardiologist Theodore Abraham, director of the UCSF Echocardiography Laboratory. What’s the evidence it works? But most news stories didn’t answer a fundamental question: What was the evidence Apple submitted to the FDA to receive clearance? Only Quartz and STAT indicated that they had reached out directly to the FDA to get data, which we also confirmed. For the ECG app, the FDA said they reviewed data from 588 people, about half of whom had permanent or persistent AFib. The app wasn’t able to classify about 1 out of every 10 rhythm recordings. Of the rest, 98.3% of the people who had AFib were correctly identified as having it. And 99.6% of the time, the app also correctly identified people who didn’t have AFib. For the irregular rhythm notification feature, the app wasn’t as accurate. The FDA said it reviewed data from 226 participants who had to have already received an app notification suggesting they might have AFib. The participants were then continuously monitored for an average of six days with an ambulatory cardiac monitor. Approximately 41.6% of these participants had documented AFib on the ambulatory cardiac monitor. For AFib notifications that occurred on the Irregular Rhythm Notification App during the monitoring period, the proportion of individuals who also had AFib observed on the cardiac monitor was 78.9%. Neither of these sets of data have been published or peer-reviewed, a point that wasn’t made in any of the news coverage. Also important to emphasize: In both of these data sets, researchers knew who had AFib. The numbers will change significantly when tested on a large population of people, noted University of Michigan cardiologist Venkatesh Murthy, MD. Why is the AHA so enamored with the Apple Watch heart monitor? Given the preliminary nature of the data, Murthy also found the AHA’s involvement befuddling. 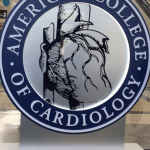 “It is unclear whether the AHA had any specific opportunity to review the data or subject it to a peer-review process before endorsing,” he said. “The nature of the endorsement really was without recent precedent as best as I can recall.” The fact that the AHA apparently bestowed its praise despite such flimsy evidence wasn’t emphasized in any news coverage we saw. This is important because the public might assume that the AHA’s nod of approval is based on high-level evidence of a benefit. What are the implications of the FDA’s drive to speed software approvals? Its rules for “software as a medical device” appear to be even flimsier than the already-weak standards for medical devices. In some cases, as the FDA admits, “demonstration of [safety and effectiveness] does not necessarily require a clinical investigation/study.” It’s not clear from any of the news stories if the Watch was developed as part of this pilot program. A source in that story explained that the pilot isn’t yet underway, but somehow Apple managed to get its app approved very quickly — much to the dismay and puzzlement of competing health tech firms. In spite of several news stories talking about how “deadly” AFib can be–which basically implies that an Apple Watch would be the antidote to said deadliness–we don’t know yet if this device will indeed reduce the risk of death. We do know that widespread screening for atrial fibrillation in healthy people is not recommended by the U.S. Preventive Services Task Force. Recent research showed that people who were treated for atrial fibrillation based on screening from a wearable ECG patch didn’t experience better outcomes than those who didn’t wear a patch, for example. We also pointed out that drugs to treat screen-detected atrial fibrillation may subject patients to increased risk of a major bleeding event — without any assurance of a corresponding clinical benefit. 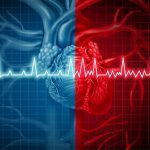 That study will continue for two more years to see if, ultimately, there is some benefit to wearing a heart monitor all the time–and if that benefit outweighs the risks of overdiagnosis and overtreatment. As we’ve discussed many times, screening for medical disorders is both less beneficial and more risky than most people realize. It’s also highly profitable–much like everything Apple has created. In contrast to the weak evidence that AFib monitoring results in a real benefit for patients, the Watch is being hyped in an over-the-top way that could lead to patient harms. “We’d never accept such broad statements from a pharmaceutical ad and we shouldn’t accept it from marketing for a device,” Murthy said. Screening for atrial fibrillation with a wearable patch: Seek and ye shall find ... and then what? Wearable technology to screen for atrial fibrillation: Does it raise more questions than it answers?